In the wild, you never know what’s waiting for you around the next corner. It’s important to be prepared to step into danger and know how to escape at any time. Otherwise, if you let your guard down for a split second, your life could be turned upside down.A man in Thailand was attacked by a pack of wild elephants after trying to ride past them on his moped. 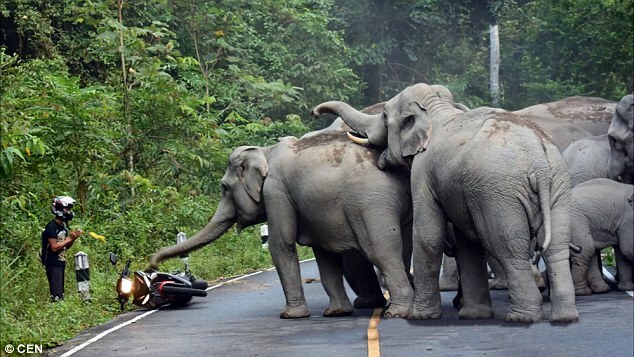 The incident, which took place in Khao Yai national park, was unexpected, as elephants tend to be non-violent animals. Just watch as the frightening scene unfolds.